There are multiple data and files storing in computer, and computer virus or other accidents are menacing your data. Therefore, computer backup software is indispensible to protect files, system, partition,and disk. It can prevent from data loss. AOMEI Backupper Standard edition is best free computer backup software to backup file, system, partition and disk. It also help you sync and clone data. It can run on Windows PC system. System Backup: Create system backup image for Windows xp, 7, 8, 10 and vista, Windows server. 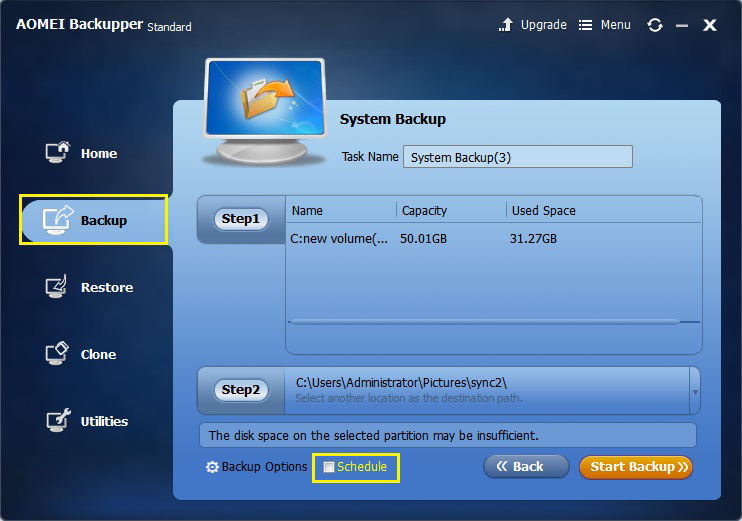 Partition Backup: Make a backup image for specific partitons and volumes in one hard disk. File Sync: Partition Backup sync or transfer important folders to other place without creating new backup image. System Restore: restore system image to original place or other location in same computer. File Restore: Restore your file or folder backup image to any location or selective file; restore. Disk Restore: Make your data and files in whole disk restore to the status before backing up. Partiton Restore: Make partitions or volumes image restore to original place or other location. Disk Clone: Copy or clone hard drive such as system hard disk or MBR disk to another. System Clone [Paid]: Migrate or clone Windows operating system to new hard drive or SSD. Partition Clone: Copy and store the whole partition data and files to other place. 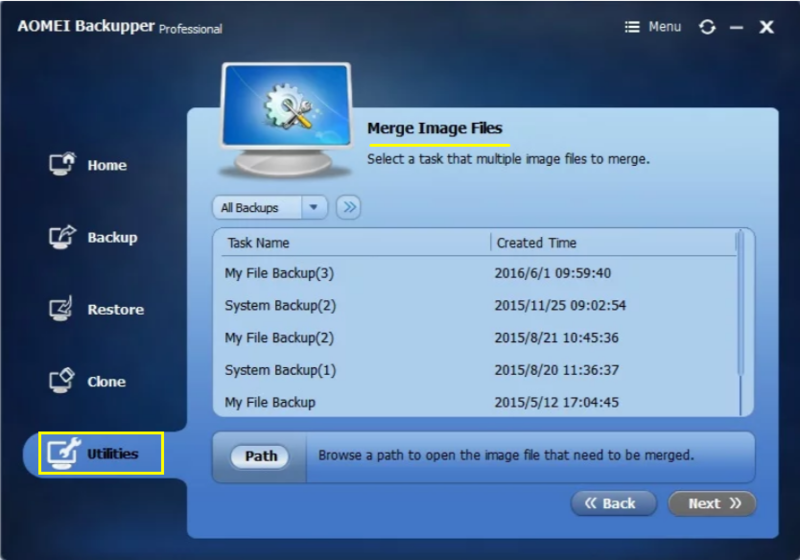 Check Image: Check if backup images are intergrated or not after backing up. Create bootable media: Make bootable disk that create drive images and disaster recovery disks.Backup scheme: Create new backup based on the first full backup and delete old backup image. Scheduled Backup: Allows to automatically backup system,disk, partition, or file on fixed time. 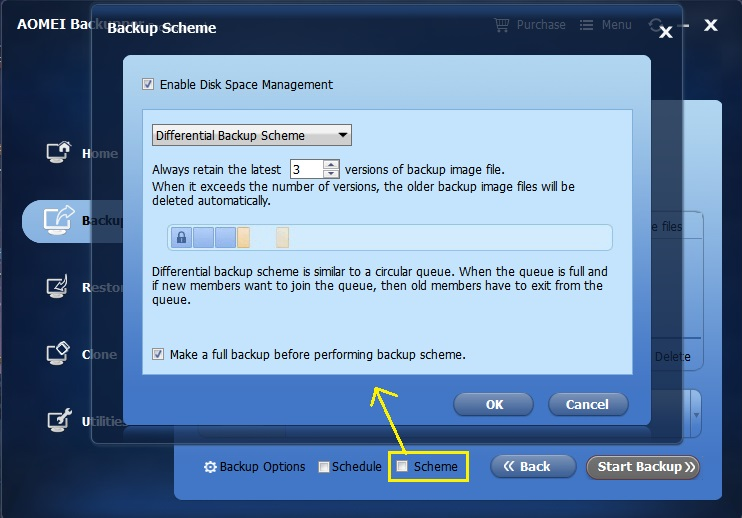 Backup Option: Offer full backup, differential backup, incremental backup to let you choose. PXE Boot Tool [Paid]: Boot multiple client computers within same LAN through the network.Backup setting: compress and split backup image, and contain email notification, set intelligence sector backup, VSS backup, and language switch, etc. Attachment Function: Offer online help, tutorials, technical support and software upgrade , etc. 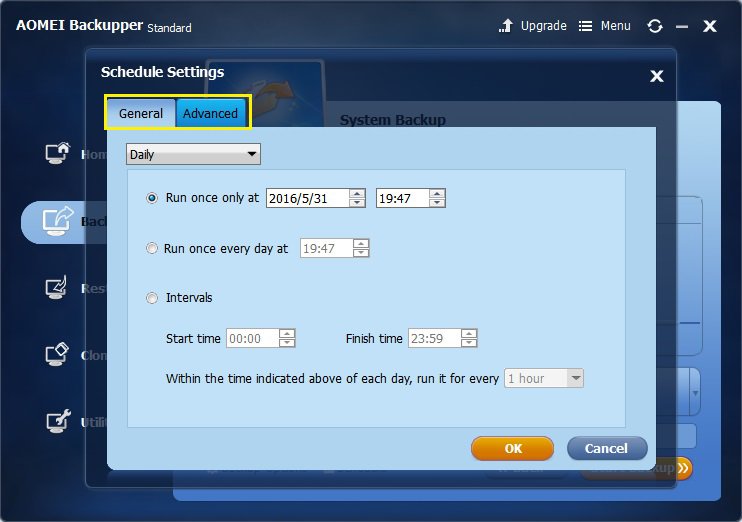 In General, you can set specific time point; In Advanced, you can set full backup, incrementalbackup or differential backup. Why does backup image occupy too much space when I use other computer backup software? 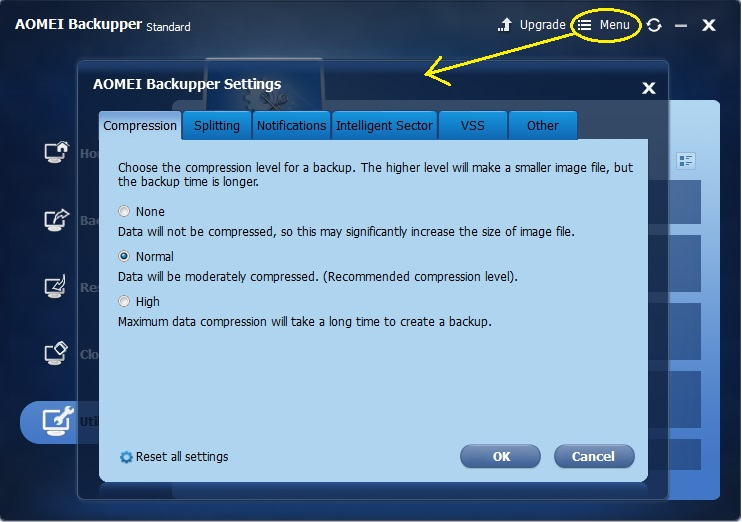 Because different software have different compression rate, and AOMEI Backupper takes new computing methdology. All backup images can be compressed at the maxium level, and it can save much space. Why can’t I connect to internet after restore system to unsimilar hardwares? Due to the fact that hardware is different, therefore, after you restore to other system, some drivers can’t run normally. It require you to install network driver, or other drivers. Does it support Windows 10? There are mulptile editions in AOMEI Backupper. Standard and Professional edition can run on Windows XP, 7, 8, 8.1 10,or vista. Lite, Server, Technician, and Technician Plus edition does not only support Windows PC system, but also support Server 2003, 2008, 2012 (including R2), SBS 2003, 2008, 2011.